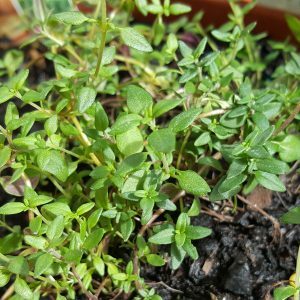 Thyme is an evergreen herb that has been used for food and medicinal purposes since ancient times. Ancient Egyptians used it as an embalming agent to preserve their deceased pharaohs, while the Ancient Greeks used it in their baths and as incense in their temples, believing the herb to be a source of courage. It is now often used as an essential oil or in cooking. The most common variety of thyme is Thymus vulgaris and is a relative of the plant, Oregano. Thyme is best grown in hot, sunny locations with well drained soils. It is a very hard plant and can withstand both droughts and deep freezes. 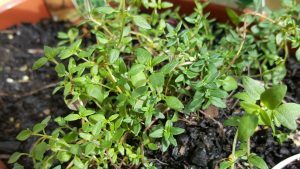 Thyme can be grown easily via seeds or cuttings. Do not use undiluted Thyme oil directly on skin as it can cause irritation, particularly amongst those who suffer from eczema or sensitive skin. Copyrights © 2018 – All rights reserved. Disclaimer – Our intent is not to diagnosis but to offer information on therapy choices and practitioners. Information on this site is intended general educational purposes only. Any statements made are carefully referenced and any information, products or services discussed are not intended to diagnose, cure, treat or prevent any disease or illness. Please consult a healthcare practitioner before making a choice.